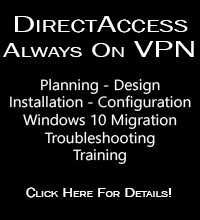 DirectAccess IP-HTTPS Null Encryption and SSTP VPN | Richard M. Hicks Consulting, Inc.
but how do I remove the VPN role? I cant see the NULL ciphers when checking DA address at http://www.ssllabs.com even though I clicked “Disable VPN” in the Remote Access Management Console (which says that the VPN will be removed). Hi Robert. Sorry for the late reply. During my initial testing removing VPN support returned the NULL cipher suites in my test lab. I’ll test again just to confirm though. Hi Richard! I noticed that it took a couple of days Before the cache att ssllabs was completely flushed, when I ran the test a couiple of days later the NULL cipher suite was there, as expected. Thanks for the reply! Interesting article. I’m trying to optimize my performance for DirectAccess clients and was happy to see this article since my DirectAccess servers run both Client VPN and DA. When I execute the test on ssllabs.com against my servers it shows exactly Figure 1 (with Null Encryption in red). I was not expecting this result since the servers run both types of VPN. My pair of NLB DA servers are well-provisioned Hyper-V VMs and my service is 45 MBit synchronous. The very best that I can get is 12 MBit on the interface and only for a moment (the average is about 5). How would you go about resolving this performance problem? Thanks for any help. That’s unusual. I wouldn’t expect to see NULL encryption cipher suites offered if client-based VPN is also configured on the same server. Perhaps there is a scenario in which this is allowed that I haven’t tested yet? I’ll definitely look in to it. Regarding performance, it’s difficult to state why performance is less than expected. However, IPsec network processing is likely the culprit, especially in a virtual environment. The hypervisor in this scenario imposes a pretty steep performance penalty. You would probably see much better performance using a dedicated server. I have setup DA 2012 R2 and not configured the vpn role. When I do the SSL test I am receiving the following back. nothing about Null and a lot less entries then either of your images show. I’m noticing extremely slow speeds to a windows 8.1 ENT machine when both are connected to 1gb connections (I see 1mb/s) Any ideas on how to enable Null ciphers or any idea on how to speed things up? Thanks for the reply, I looked through that and used a program called iis crypto that lets you enable and disable different ciphers etc. It doesnt seem to be working though. Can you give me an example of what I need to change in the registry? I wrote it for Windows Server 2008 R2 and TMG, but it should work for Windows Server 2012 R2 as well. This is a reply to Ryan Phillips message, but all help is welcome! I have similar symptoms to you, but I am not even getting a connection. Did it turn out to be the absence of NULL encryption? How did you fix it? to enable null encryption did not work. See my previous comment. Even though you’ve enabled the cipher suites, DirectAccess may not use them for Windows 8 clients because client-based VPN is enabled. 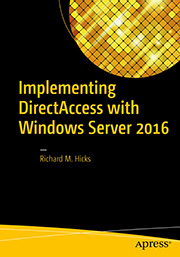 The Remote Access role was installed with just the DirectAccess role; no other role services were installed. It turned out that the “outer” IP-HTTPS connection between client and server was established successfully, but the “inner” IPsec connection wasn’t. Configuring the firewall resolved this. I still didn’t get to the bottom of NULL encryption. In my case, the wizard was not configured to use certificates. I did wonder if the “outer” IP-HTTPS connection is encrypted, but the inner “IPsec” connection isn’t using encryption. I’ve discovered than when OTP is enabled the NULL cipher suites are also no longer available. Do you know if that is by design? We have exactly the same scenario as Ryan Phillips. We are using Windows Server 2012 R2 using a generic out of the box installation of Direct Access (without VPN), which created and used its own self signed certificate. We have tried the suggested articles (SCHANNEL Registry etc) but the SSL Labs report only ever displays the same 6 cipher suites that Ryan reported. Do you have and other ideas what could be causing this issue? Clients can connect and use DA successfully, but the performance is disappointing. Thanks for taking the time to reply Richard, your clear cache advice is certainly a good one to remember but in our case we had already found that option. Following your post I decided to go back to basics, I created a new test Windows 2012 R2 server in our test lab, applied no updates and just performed a Direct Access simple installation using the getting started Wizard. I then assigned the server a public IP address stuck it on the internet and tested on SSL labs, again we only had the 6 ciphers available that Ryan originally posted. To eliminate that the problem could be caused by Windows Server 2012 R2 I performed the same test but this time on Windows Server 2012, in this instance you only get 3 ciphers available. My next thought was perhaps the issue was caused by the self signed certificate which is automatically created as part of the install. So I went back to my test 2012 R2 box and applied our godaddy wildcard SSL certificate to the server, assigned it to DirectAccess and performed the test again (this was without “tweaking” any of the SCHANNEL registry keys – just left default) and this appears to have solved our problem. The NULL ciphers now appear. now, as I understand it, this is actually desirable for a direct access URL as in windows 8.1 as it is utilised to avoid double encryption. However, testing your direct access will always net an F rating on this site due to these 2 cipher suites. Provided the rest of our results are up to snuff, we can safely ignore this warning right? That’s correct. A dedicated DirectAccess server (without VPN installed) that doesn’t have OTP authentication configured will always receive an “F” rating from the Qualys SSL Labs test site. This happens, as you noticed, because in this configuration DirectAccess makes use of cipher suites that use null encryption. This is done to eliminate the protocol overhead of double encryption for Windows 8.x and later DirectAccess clients using the IP-HTTPS IPv6 transition protocol. It’s important to remember that the SSL Labs server test is designed expressly for web servers. DirectAccess is a unique workload that uses HTTPS purely as a tunneling mechanism for IPv6 traffic, which of course the SSL Labs test isn’t aware of. Obviously not using encryption on a web server is probably a bad thing, but for DirectAccess it’s ok because the payload is already encrypted. Hello there, we have the same problems here, crazy thing is, that one of our 2 Windows 8.1 machines can connect without any problem, no error messages in server eventlog. The new client cannot connect, causing the 36888 and 36874 ids in the system log of the server. This is the result of the SSL Test, no NULL cipher visible. The question is, why can 1 client connect and the other not? The working client has an older client certificate, may that be the reason? 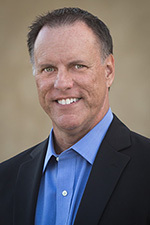 If one client can successfully connect, you know that the server is configured correctly. I’d look closely at the configuration of the client. Correct SKU? Certificates in place? Were the DirectAccess GPO settings applied? I expect you’ll find something missing on the client side somewhere. Hello Richard, Windows is 8.1 Enterprise, certificates in place. The Client connects for a couple of seconds but then disconnects again, leaving the error Messages in the System log and some 4653 Errors in the security log. Checked everything, even reinstalled the Client, also with Windows 10 Enterprise, still same error… freaking out. Puzzling, but I still suspect something on the client side, as you stated previously that you have some clients connecting successfully. You may need to gather additional information using detailed event logging to netsh tracing. It might be best to open a support case with Microsoft so they can assist in gathering this information and interpreting it for you. 1) How can I remove the VPN role, but keep DA intact? 2) Since we’re using a multi-site configuration, a subca or rootca cert is required. Our current cert is sha-1/rsa and works just fine. We’re in the process on migrating to a new PKI which is sha256/ecc. From the testing I’ve done, the IPSEC connection is failing with the new SubCA cert inplace. Do you know if ECC is supported for the SubCA/RootCA cert? You should be able to remove client-based VPN and leave DirectAccess intact by issuing the following PowerShell command – Uninstall-RemoteAccess -VpnType VPN. SHA265 work just fine, but ECC is not natively supported for DirectAccess unfortunately. Over a year later, but just wanted to say thanks! Hi, is there a way to tell if a client is using null encryption? Yes, you can do this by installing a protocol analyzer such as Wireshark on your client and monitoring the IP-HTTPS connection. You can verify that the server supports null SSL/TLS cipher suites by using the Qualys SSL Labs server test site or by using Nmap and the SSL-enum-ciphers script. Thanks Richard. I seem to have the missing null ciphers along the lines of others on here. In my case 2012r2 no VPN installed no OTP installed. Using Global sign certs. Tried the registry change to enable null but still no go. Any other ideas? We’re facing the problem with the missing null cipher suites on our DA Server. The VPN Role has been deinstalled and the null cipher suite has been activated through the registry editor, but we still don’t see any null encryption suites on the server. Is a fresh install still the only option to reenable the null encryption suites? Hi my SSL certificate for my DirectAccess server certificate is Suite B compliant using ECDSA. My client cannot connect to DirectAccess server using ip-https. My setup works if the certificate issued is from RSA. This symptom is similar as your last post. May I know if there is a Technet link that supports this? I found an old link not contradicts.